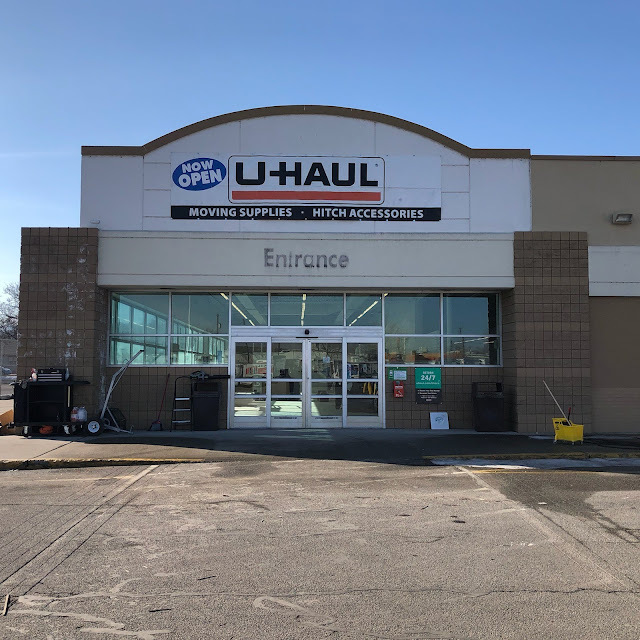 U Haul is wasting no time in opening their new location within what was the last K Mart store in Spokane. In fact the new facility , now called U Haul Moving & Storage of East Town , is already open for business in a temporary showroom space where the K Mart garden center once was. Many U Haul trucks have already been parked in the former parking lot out front, all ready to be rented. Like most U Haul branded locations guests can rent their trucks and trailers for moving but also find towing equipment, U Box portable storage containers and even moving supplies. Work will also begin to convert the remainder of the 115,992 square foot building into self storage units. In all U Haul Moving & Storage of East Town will feature 700 indoor self storage units. Giving customers access to climate controlled rooms with what they say will be high tech security features and affordable price points. Propane and professional hitch installation will also be offered at the site in the near future.